Stroke of Genius is the title of Gideon Haigh’s latest work. It is an apt title, referring as it does to an image of batting perfection. The work is an extended rumination on probably the most famous photographic image of any cricketer in the rich iconography and mythology of the game. 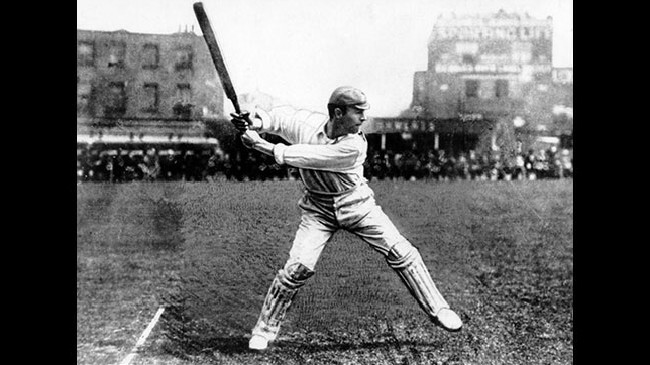 The stroke, commonly referred to as ‘‘jumping out’’, shows Australian legend Victor Trumper at the Oval in 1905, poised at the height of his extravagant backswing, front foot airborne, just prior to executing his shot. There is no ball. There are no fielders, no stumps, nor umpires. There is simply a lithe, handsome man, frozen for eternity in a study of physical perfection, which Leonardo da Vinci would have been proud to contrive. The figure evokes a bygone era. Yet, there is also an element of permanence that only timeless genius confers on physical prowess. Writing about the Big Bash League poses challenges unfamiliar in cricket journalism. It grows difficult to single out particular games, so quickly do they pass in its concentrated timespan. Gratification is instant; feats blur; results are rapidly succeeded; even the fixtures breed a degree of uncertainty. At the time of writing, it is unclear who will meet the Sydney Thunder in tomorrow’s final or where it will take place. That encourages a concentration on the phenomenon, which is at this stage, perhaps, what matters anyway. Notable as individual achievements have been in BBL5, and as eye-catching have been many of the skills on show, the standout performer has surely been the continuous one, and also the happiest: the fans. When the Indian Premier League kicked off almost eight years ago, the numbers that stood out were the eye-watering sums of money — in broadcast revenues, in sponsorship and endorsement fees, and, for the first time, in auction results for players sold. In this summer of the BBL’s apotheosis, it is the crowd figures, now up around seven figures, that have, to use the phrase of Melbourne Stars’ well-travelled coach Stephen Fleming, sent “shockwaves through cricket”. Seven of the eight franchises have set attendance records. The Melbourne Cricket Ground’s cap­acity has at last been tested; Adelaide Oval, the Gabba and Bellerive Oval have brimmed for every game; for the improving Thunder, Showground Stadium has proven a vastly more welcoming home. We’re commonly told that a concentration on crowds is old-fashioned thinking, that it is the ratings that matter because it is television that foots the bills. Yet crowds retain a powerful corroborative effect. For the home viewer they dramatise that something important is going on worthy of their attention; for the commentator they provide an indispensable part of the descriptive palette (“The crowd’s going wild” etc). A deserted stadium is likewise expressive: the weird and sterile Test matches that Pakistan host in the Gulf are somehow dismaying whatever the quality of the play. BBL crowds, moreover, do more than simply spectate; they form part of the spectacle, responding resoundingly to the cues of the ground announcer, good humouredly mugging when the cameras show them on the big screen, leaping for six hits like seagulls scrabbling for chips, and, of course, making a hashtag of themselves by their fruit-eating habits. It’s an agreeable change, given the killjoy ordinances in operation at international fixtures, and could be argued as demonstrating how unnecessary many of these prohibitions are. Left to regulate themselves, while also needing to be mindful of the presence of so many children, people have proven that they can relax responsibly. Alcohol, of course, is less of an issue in a short-duration game, while rivalry has yet to become unfriendly. During Thursday night’s semi-final at Adelaide Oval, the camera hovered amusedly over a handful of banner-waving Thunder supporters among the solid ranks of Strikers fans, appreciating the incongruity rather than accentuating a conflict. What are we to read into the BBL’s crowds, beyond a banal attestation of its popularity, and of T20’s streamlined consumer appeal? In one respect they are a tribute to the deep and abiding Australian love of cricket. Make the game accessible, regular and cheap, it seems, and the public will turn up and tune in almost irrespective of who is playing. Maybe cricket is late to this understanding, but it is also building on the endowments of generations. Cricket is summer, summer is cricket, which makes attending a BBL game like dropping in on an old friend and being gratified by their good health. In another respect, the BBL reflects a public desire to be part of a success, forming, as it were, a virtuous circle: fans are attracted by the publicity and form part of the publicity themselves. There is a cool factor involved. BBL has become the party people want to say they’ve been to. Over time, cricket has not always encouraged the casual walk-up or the spontaneous patron attending on a last-minute whim. Attendance has instead involved a kind of homage or pilgrimage. In its calculatedly dressed-down way, the BBL makes no such demands. It is cricket for a good time not a long time, a one-night stand on a balmy evening rather than part of a lifetime’s commitment. Such novelty will not last indefinitely, of course. But as a fit with high summer, competing as it does with silly season news and soporific television, the BBL experience has a good many recommendations. That being so, what might be BBL’s longer term impacts on the culture of cricket watching? In particular, will it be a gateway to the rest of the game or a substitute for it? Administrators have always tended to talk up the former, although from a commercial point of view the latter might suit them every bit as well. After all, cricket based on a domestic autarky would be a good deal more straightforward to manage and to monetise than one based on a web of global relationships, unpredictable nationalisms, conflicting calendars, split revenues. If anything, international cricket is growing harder to build summers round, the list of attractions contracting towards a choice between sackcloth or the Ashes. Frankly it is too early to tell, and our understanding of the dynamics of the cricket audience has never been great anyway, the stuff of anecdote rather than evidence. Even the market research undertaken by Cricket Australia ahead of the BBL was of a crude, drunk-meet-streetlamp sort, for the purposes of support rather than illumination. If anything, cricket fans have tended to accommodate themselves to the given, accepting that they live in a market provided for by a monopoly, rather than demanding or leading change. The Boxing Day Test testifies to the commercial value that can accrue from simply leaving something as it is and allowing people to plan ­accordingly. Here, then, lies the challenge awaiting the planners of the next stage of the BBL, between the culture of innovation and the comforts of continuity. In this sense, tomorrow’s final preludes another beginning. SOS. Save Sri Lanka Cricket. The constitution of Sri Lanka’s cricketing arena is in need of an overhaul –a radical refurbishment. Indeed, the necessity is even greater than the recognized need for reform in the political constitution for the island. 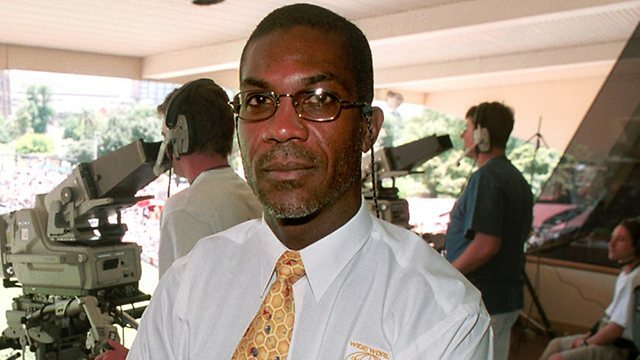 Cricket is big business and attractive for political wheeler-dealers with personal business interests that can compromise the promotion of cricket in the island. Gideon Haigh has recently indicated how the can of worms within and around the Indian cricket scene is now being exposed by the Rajendra Mal Lodra inquiry. Sri Lanka does not need such a witch-hunt. 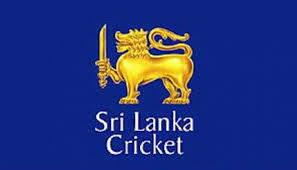 What we Sri Lankans need is a solid overseeing structure for cricket administration, preferably one that is distanced from parliamentary elections and their periodic overturns in Sports Ministers. Read the rest of this entry ? When he retired as India’s Chief Justice in September 2014, Rajendra Mal Lodha, a frugal, pious Jain from Jodhpur who regards judicial office as a “divine duty”, had in mind a quiet life, during which he might write a book. A different ­literary work is about to make him among the most important men in cricket. 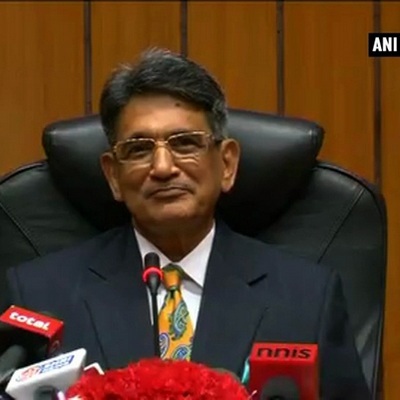 On Monday morning, Delhi time, Lodha and two other retired judges, Ashok Bhan and Raju Varadarajulu Raveendran, will present to the Supreme Court the final fruits of a year’s examination of the workings of the Board of Control for Cricket in India, the de facto seat of power in world cricket. Read the rest of this entry ? 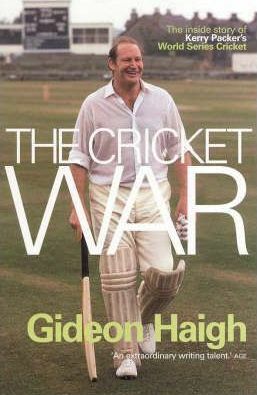 You are currently browsing the archives for the Gideon Haigh category.